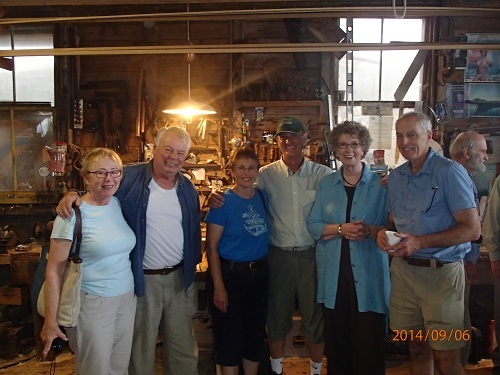 The crowd at Bill Lutwick's boatshed in Indian Point for the MICA Resource and Documentation Committee's sixth annual History event were treated to a fascinating and informative presentation by Bill. Everyone was first welcomed by MICA Chair John Meisner and RDC Chair Michael Ernst. Then Bill spoke for approximately an hour and a half, covering his personal journey to becoming a boatbuilder; his interaction over the years with the Indian Point people; the process of building a wooden boat , from the designing phase to the finished product; and the different jobs he has done over time, through good years and lean years, and the interesting characters connected with that work. Everyone listening really enjoyed Bill's skill in combining personal narrative with humour and information, and a great time was had by all. Bill finished up by taking questions, directing people to his display of photographs, etc., and the boat in the shed that he is currently working on, plus some amazing wood that he will use in its restoration. 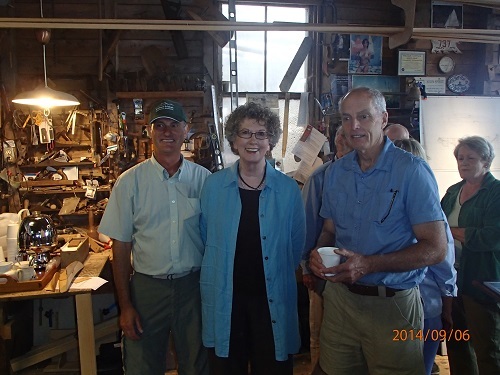 MICA sincerely thanks Bill for a fascinating presentation, and his hospitality in inviting us all into his boatshed. We also thank Anne for her "sweet" contribution to our enjoyment, and the Firehall for lending their chairs. Also thanks to all attending for their donations, and the renewals of memberships. It was a very special morning !